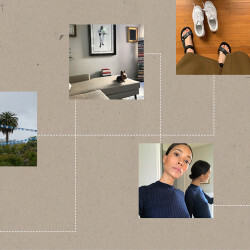 For the amount of time we spend in the bathroom—primping, prepping, doing our thing—it’s still, admittedly, one of the most neglected parts of our place. It’s not that we mean for stuff to look messy and be...um... everywhere. It’s that we’re stumped when it comes to easy, elevated storage solutions and creative ways to decorate. Thankfully, Pinterest is the internet’s encyclopedia of home trends and organization tricks, with plenty of options that are perfect for the bathroom. Scroll on for some ways to revamp this tricky little space, then let the makeover begin. Looking for a way to make your linen closet look guest-ready? Pinterest users feel the same; the search term has risen by 56 percent year over year! Inspiration will likely have you investing in a handful of baskets (perfect for holding products) and making sure to take things like toilet paper out of the plastic, creating a less chaotic look. It’s time to gather up all your makeup (especially the stuff you don’t use every day) and organize it with acrylic trays. 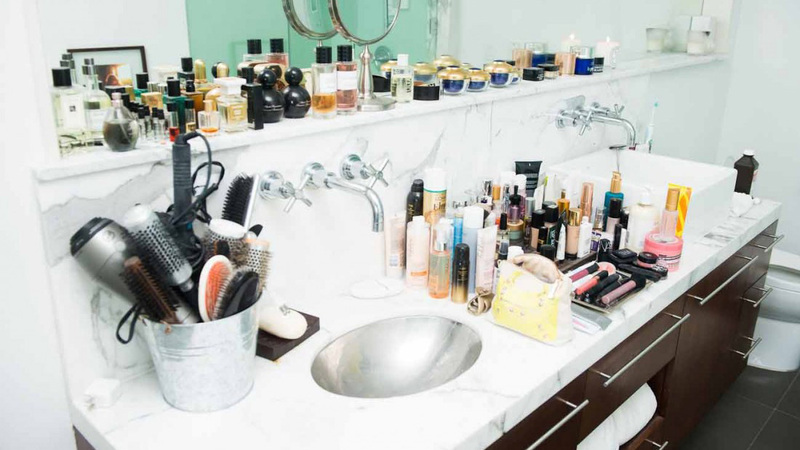 “Acrylic makeup storage” is 114 percent more popular than it was last year, and bloggers—and celebrities like Shay Mitchell—swear by the brilliant and clean-looking solution. Maximizing under-the-sink storage can be kind of tricky...which is likely why the term is up in search by 80 percent year over year. But you *can* make the most of the space: just add some extra shelving and “stick-on pods” to the side of your cabinet door. Why are “shower plants” 303 percent more popular this year than they were last year? It’s not *just* for decor. These babies actually help clean the air and rid it of bacteria, and when it comes to cleaning the bathroom, we’ll take all the help we can get! Looking to make a change, but not willing to spend the day breathing in paint fumes? Bathroom wallpaper is 72 percent more trendy than it was last year—and not only because it’s less of a hassle. Removable options mean minimal commitment, and you can easily add a pattern to your space, which might be more interesting than a simple, solid color.